Therese Jefferson is an Associate Professor at the Curtin Graduate School of Business where she coordinates Economics for Managers 551, a core unit in the School’s MBA program. She has longstanding research interests in gendered aspects of paid and unpaid work and the research methods employed by economists to investigate questions of gender and pay. She is a founding member of the Women in Social & Economic Research (WiSER) unit at Curtin University and has been an active participant in WiSER projects since the unit's formation in 1999. 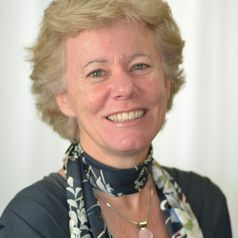 Therese’s research interests are reflected in a range of contract and consultancy projects she has undertaken for organisations such as the Workplace Gender Equality Agency, Human Rights and Equal Opportunity Commission, FairWork Australia, Western Australian Health Department and Resources Industry Training Council. Therese's research has been published in a range of national and international journals and other forums, including the Cambridge Journal of Economics, Australian Bulletin of Labour, Journal of Economic Psychology, Journal of Socio-Economics, Feminist Economics, Journal of Industrial Relations, Leadership, Journal of Economic Methodology, Economic Record, Review of Political Economy and Higher Education Research and Development. She is a member of the editorial board of Economic and Labour Relations Review. In 2013 Therese commenced a two year term as a Faculty Representative on Curtin University’s Academic Board.